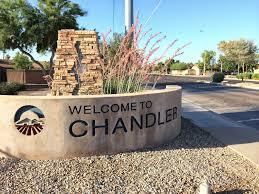 Chandler is a prominent city in the Greater Phoenix Metropolitan area of Arizona. It boasts a population of around 250,000 residents and is prominent in the technology sector. The city covers a total geographical area of a little over 60 square miles, and the city is composed of mostly suburban neighborhoods. This sees Chandler experience a high number of pest complaints typically associated with large suburban populations (such as termites). Chandler’s climate is classified as a ‘desert climate zone’ that is typical of many cities in the state of Arizona. This sees the city experience very hot summer and cool, if mild winters and very little precipitation throughout the year. This particular climate profile makes Chandler vulnerable to a range of more exotic pests (particularly in outer suburban areas) and a higher level of pest activity more generally. During very hot weather, some pests may be attracted to homes to seek refuge from the extreme heat. Meanwhile, Chandler still experiences all of the common pest complaints known to other large American cities. Some common pest problems for the Chandler area include scorpions, spiders, and termites. Scorpions, while not commonly found in most major cities in the country, are a common complaint in Chandler and surrounding areas. These pests can deliver a painful and sometimes dangerous sting via their barbed tails, delivering venom to which some persons may be allergic. If even a single scorpion is discovered in or around a home, it may indicate that there is a larger population somewhere nearby. It is not uncommon for scorpions to nest and breed in cool, dark areas such as beneath a house. From there, they may periodically emerge to seek food or if they are disturbed. When scorpions are found in the home, the best course of action is to get in touch with a certified exterminator, who can arrange for inspection and removal of any potential infestation. Spiders are particularly active pests in Chandler and surrounds, and can be a troublesome pest complaint for homeowners. These pests can hide away in corners of a home and are typically good at controlling other bothersome insects that may enter a home. However, their unpredictability and potential to deliver nasty bites make spiders less than ideal roommates. Like scorpions, spiders can also reproduce in large numbers if left undisturbed, which may result in a significant infestation. Although one or two rogue spiders might not present too much of a problem for residents to attend to themselves, a spider infestation can be difficult to comprehensively treat with DIY methods. In such cases, a pest control agent can check a building thoroughly for signs of infestation and carry out a full extermination. There are a number of reputable pest control companies in the Chandler city area, among which is Truly Nolen Pest Control. This company has been servicing Chandler and the surrounding areas since the 1950s and provides the gamut of pest control services relevant to Arizonan pest control needs. The company services more than 150,000 throughout Arizona and other nearby states. Other reputable pest control service providers in the area include Responsible Pest Control Services, Atomic Pest Control and Magic Pest Control.